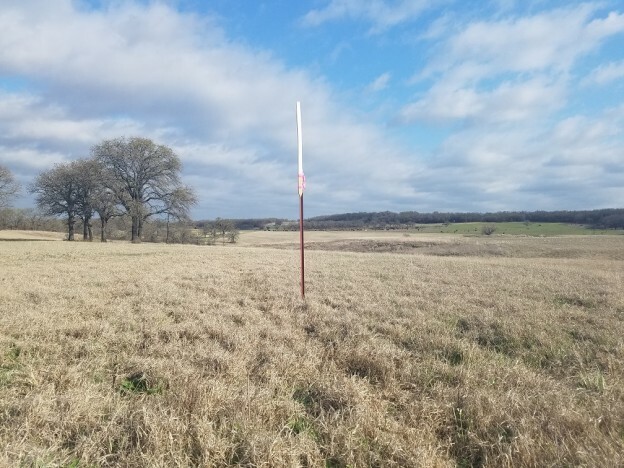 Veteran Oil Partners is excited to announce that the C. Hathcock USMC #1 well location was surveyed and staked on March 17th 2017 in Montague County, Texas. The prospect was generated using a combination of 2D and 3D seismic surveys and substructure mapping. The well will be drilled to a total depth of 4600 ft., or 200 ft into the top of the Ellenburger formation. The primary objective of the well is the Hoxbar series of sandstones. The Hoxbar sandstone series is Pennsylvanian in age and over 600ft thick in this area, and is known to be prolifically productive when draped over prominent structural highs in the Ellenburger formation. Our geological interpretation of 2D and 3D seismic confirms 4 way closure in the Hoxbar and Strawn sandstones which are draped over a pronounced Ellenburger structural feature. Veteran Oil Partners is targeting a spud date of April 15th 2017 or sooner. This entry was posted in C. Hathcock LP and tagged 3D Seismic, Oil and gas exploration, Oil and gas investing, Oil Well, Texas oil and gas, Veteran Oil Partners on March 27, 2017 by admin.